We are so grateful we found S. Miley Dog Training and Rehabilitation. 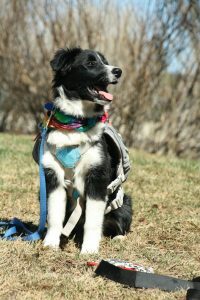 After much searching, I was so happy to come across Susan Miley’s dog training facility for our Border collie Puppy. At 4 months he had already become difficult to walk because of his fascination with cars. I searched online and was confronted again and again with the understanding that this was a behavior that professionals were best equipped to deal with, and the younger the better. 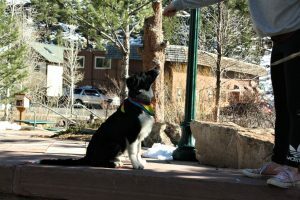 We sent our puppy, Arlo, to spend 5 days training with Susan. When she returned him to our home, she taught us everything she had worked on with him. He is still a squirrelly puppy, but he can be walked along the side of a road or highway without pulling at cars. He will sit and watch cars without anxiety. Our job is following through on everything that Susan started, and she set us up very well to do just that. We are so grateful we found S. Miley Dog Training and Rehabilitation. I have already recommended Susan to several friends and will continue to do so, since she is truly wonderful with the dogs and their owners.